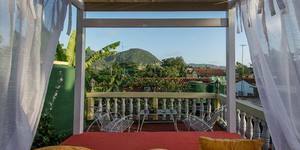 We’ve said several times that homestays are the best accommodation in this Caribbean island. Now, in BandBcuba.com we want to give travelers some tips to book at the best Casa Particular Cuba. Take some time before your trip to research and learn more about this bed and breakfast in Cuba. Finding a good accommodation anywhere in the world can be a hard work and Cuba is no exception. When you start planning a trip to this paradisiacal island there would be a lot of questions about this subject. What can you expect of a hotel? Does accommodation have all the facilities I need? When do I have to book? Do hosts speak English? Those are just some doubts can cross your mind in a few seconds. All of them are normal and justifiable. Cuba is a country that has had economical issues for decades and that impacts the quality of services. But since a few years ago tourism has developed and it became the main source of income of the island. This means that the construction of hotels on the island has been encouraged. Booking a room is expensive and probably the price does not match your expectations. Fortunately there is another style of accommodation that can be more appropriate and satisfying: staying in Casas Particulares. A casa particular is what you know as a homestay or a bed and breakfast in another country. It translates “private home”. 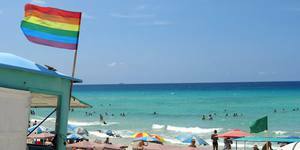 Cubans can obtain a license, handled by the government to rent rooms in their own houses to travelers. They can even rent the hole house to foreigners. Having their own family business can improve their economy and help meet the growing tourism demand on the island. 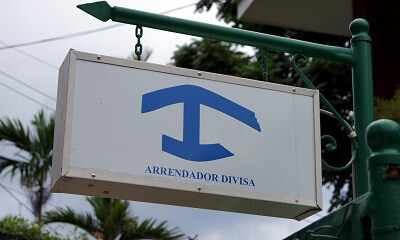 You can recognize legal casas particulares for foreigners by the blue sign at the door. Why you should book in casas particulares? Booking a casa particular in Cuba means staying and sharing with real Cubans while you are on the island. Travelers would have a warm welcome and the owners of the house use to be friendly and ready to help you. The hosts will give you tips about touristic places, transportation, how to stay safe on the streets and many more. Also, the food in casas particulares is better than in any other place because is the real Cuban food. Of course, there are paladares and other kind of restaurants where you can try the local food. 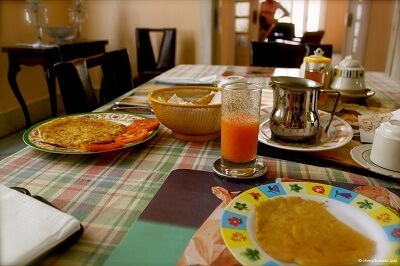 Some homestays offer breakfast for an extra charge and is usually the same food every day. If you are going to stay for a few days you might want to eat outside for a change. This kind of accommodation is cheaper than hotels. It costs between 15-25 CUCs in low season and in high season between 25-30 CUCs. Don’t expect any discount on the price. Some travelers are tempted to negotiate, but rooms in a Casa Particular have a high demand. The owner will prefer the guest who pays more. For this price you will have the basic facilities such as room clean service, towels, toilet paper and soap. If you’d like to have any other amenities and facilities, ask first if they can provide it. When a traveler shows up in a homestay and all the rooms are occupied, the owner will help you to find another place. 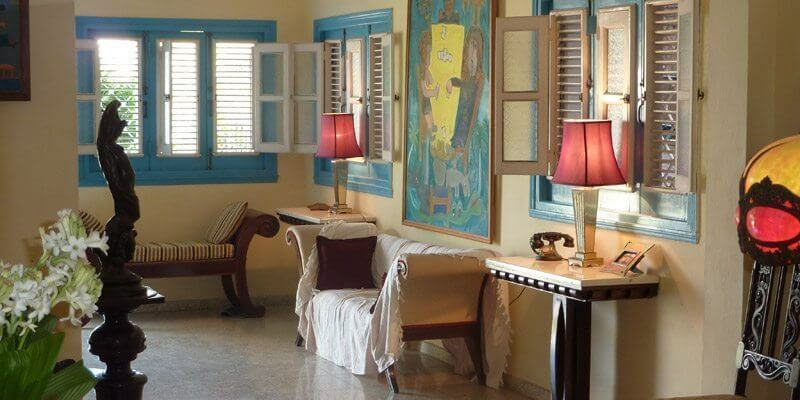 Staying in Casas particulares is a true Cuban experience, don’t miss the opportunity to choose this accommodation. There is a lot of options of casas particulares. Just go on the web and type “casa particular Cuba” or "booking casa particular cuba" to have an idea. Not all of them are on the web, but if this is your first trip to Cuba and don’t have any recommendations, the Internet is your best choice. Finding the right accommodation depends on the traveler’s needs and expectations. On the internet you can find online reviews and comments about the homestay. Also you can find e-mail address and phone number to communicate with the owner. To start with our tips for booking homestays we’ll show you where to begin with your research. The first step to book a room is to find the best casa particular for you. We already said that Internet will be very helpful. But what are the options that you have? The main recommendation in this particular is to have a room booked at least for the first two days. In low season it is possible to arrive at the airport and ask a taxi to help you find a place, they know where to take you. But in high season it would be harder. If you want to have some rest after you arrive, reserve in advance. Casa particular agents: agencies are booking sites that reunites a selection of homes. On these sites you can find pictures and reviews of former travelers. The intermediaries will help to find the right place for you. They can guide you through the process. E-mail to the owner: If you prefer not to have any intermediaries, you can book on your own. Find the name and e-mail address on the web and get in touch with the owner. This alternative doesn’t involved any management fee. Show up without a reservation: Do you like to improvise? Then just go and knock some doors and ask if they have a room. Just make sure that the casa has the blue sign. The major risk is not to find any, but owners can guide you to a house with available rooms. Couchsurfing is not the best idea because you can end up on an illegal accommodation. What to know before booking a home? Before booking a casa particular there are some considerations you must have in mind. Make a reservation with enough time in advance, especially if you are traveling in high season. Call the host a few days before your arrival to let them know you are coming. When travelers don’t show up it costs money to the owners of casas particulares. That’s the reason they prefer to receive the first tourist that shows up at the door. They will wait for you but, but if someone come first, they’ll got the room. Also, when booking through an intermediary you might find with a double booking case. This can happen, but it’s not a reason to get angry, the owners just don’t want to lose money. And they’ll be willing to help you to find an available room in another homestay. In this case, they’ll ask for a little commission, but is better to pay it than spend a lot time trying to find a place. Another problem when booking by yourself is the difficulty to communicate with the owners. Internet connection is not the best at the Caribbean island, so it may take a few days before they receive and answer your mail. The best form of contact is through phone calls. Paying in advance for a room is not possible in most cases. This is because most of them don’t have the facilities to accept online payment. And because paying in advance is also not a guarantee of finding an available room, the best option is to call a nd confirm you'll be there. If you have been before to Cuba and know the owners, would be easier to secure a room or the entire house. 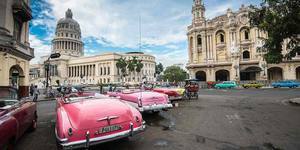 And if you booked a room in Havana Vieja, for example, and will continue your trip to another city, the host can also get you in touch with another casa particular. Also with our tips on how to book casa particular in havana we can help you to find the best casa particular in Cuba. When you book an accommodation make a plan B. This can be a list of some other casas particulares to call if your first option is not available. This way you don’t have to go around when you arrived, just ask the host to let you use the phone. Also be aware that there are persons who will try to convince you to go with them to their casa particular. They’re usually at the airport or bus station and they’ll get a commission for the people they bring to the home. The problem is that those houses are not always legal, you better say you’re not interested since the beginning. 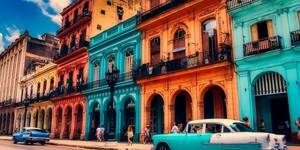 If you are interested in traveling to Cuba you must know about the economic and political situation of the country. Because that affects the quality of services and the facilities at the home stays can be limited. Always ask the host what they provide. Remember that are houses not 5 stars hotels. Also, try to book always at houses placed in touristic areas. This will help to avoid some problems such as security and lack of water service (don’t be surprised if this happen sometime, anyway). Rent of casas particulares has become very popular the last year and is highly recommended to live a real Cuban experience. What do you think of these tips to book at the Best Casa Particular Cuba? Do you have another one? Let us know. If you are looking for an accommodation in the island, contact us and we will love to help you. Responsible: Bed And Breakfast Cuba SL - NIF: B90285719 Address: Street Paco de Lucía 47 Phone Number: 954047610 Email: info@bandbcuba.com. You will be able to exercise your right, you can have information in how we use your data, modification, limitation and remove the data, you can do it sending us an email. Responsible: Bed And Breakfast Cuba SL - NIF: B90285719 Address: Street Paco de Lucía 47 Phone Number: 954047610 Email: info@bandbcuba.com. On behalf of the company we use the information that you facilitated in order to send you our publications, special offers, travel tips and information that will allow you to organize your trip to Cuba. You must know that the data you provide to us, it will be located in servers from the email marketing platform EmailRelay, by the company EmailRelay located in Spain. You will be able to exercise your right, modification, limitation and remove the data, you can do it contacting us by email. Sign up for our newsletter to get the best bed and breakfast deals and news sent straight to your inbox. You can unsubscribe at any time. Bed and Breakfast Cuba SL is a company registered in Spain with VAT number B90285719 with its registered office at Calle Paco de Lucía 47, 41805, Benacazón, Sevilla, Spain. Email: info@bandbcuba.com. Phone: (+34) 954047610. The logos and trademarks are property of Bed and Breakfast in Cuba SL (Copyright 2011-2019), which owns and reserves all rights.